Absinthe Heritage is produced by the Distillerie Devoille in Fougerolles. The formula contains Grand Wormwood, Anise Seed and a lot of Fennel Seed. That's something you can only find in France since early 2010, when the government finally dropped a 1912 law which limited the use of Fennel in Absinthe, to help protect the modern French market against foreign Absinthes. This massive addition of Fennel makes Heritage a spectacularly strong Absinthe. As soon as you open the bottle, this special scent is released. And the taste confirms exactly that: Heritage is not at all delicate, subtle or “elegant” - it's a sledgehammer! 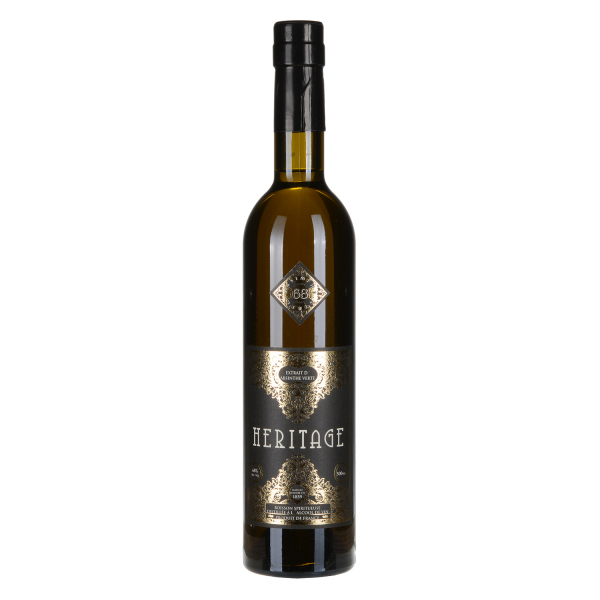 Related links to "Absinthe Heritage"
Customer evaluation for "Absinthe Heritage"